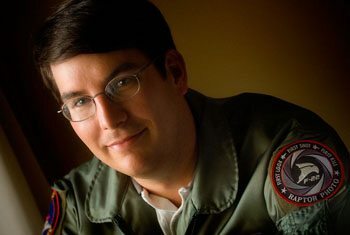 Andy Wolfe is a professional aerial photographer working for Lockheed Martin Aeronautics. He leads the Multimedia team that provides still and video support for F-35B/C flight test at NAS Patuxent River, MD. After graduating from the University of Texas at Arlington with a degree in Photojournalism, he freelanced for various aviation publications while working in Procurement at Lockheed. Eventually he was able to couple his passion for Aviation Photography with his career at Lockheed and moved into the Multimedia Department supporting flight test. He still calls Texas home but photographing the F-35B and F-35C keeps him firmly planted in Maryland.